Mental Garbage: Can I Just Have The Real One, Then? Ok - so I have a "dream car" that I would buy for myself if I ever came into a ridiculous amount of money... 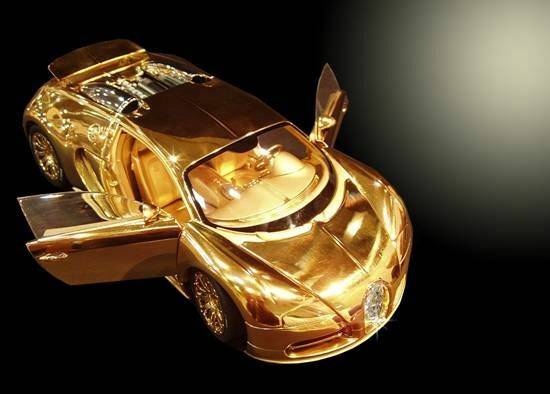 It's a Bugatti Veyron. It's insanely fast and very expensive, but I just love it. I can't help myself. The unfortunate thing about this beautiful little model that would look so lovely in my home is that it costs MORE than the ACTUAL CAR! So can I just have the real one then? That's a pretty cool car! Had to go look up the real one so I would feel like I actually have a clue what I'm saying. Am I odd? My dream car is a good old fashioned American made nothing fancy variety....Camaro...love Camaro's!